Dr. Eichholz has been teaching adult learners throughout her academic career. At Walden she has worked with both Ph.D. and Ed.D. students in the Richard W. Riley College of Education and Leadership for the last 10 years. Previously, at Walden she was director of academic residencies. Before coming to Walden University, she mentored non-traditional undergraduate and graduate students in higher education/distance education in Vermont and New York City. 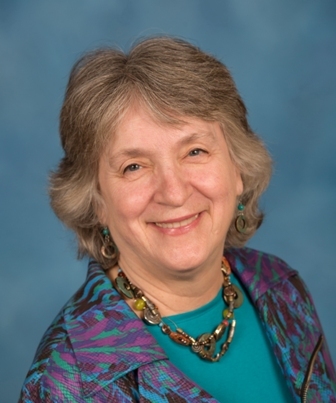 In addition to her higher education experience, she is a nationally known family history researcher and writer, having attained and maintained board certification in genealogy since 1987. More recently she has focused on the emerging field of genetic genealogy, presenting locally around Minnesota to assist adults in learning the new science. Eichholz, A. (2004). Red book: American state, county, and town sources. Rose, J. M., Eichholz, A. (2003). Black genesis: A resource book for African-American genealogy. (rev. ed.). Eichholz, A. (2003). Managing cutoff through family history research. Offerman-Zuckerberg, J., Eichholz, A. (1989). Changing concepts of masculinity and femininity. Offerman-Zuckerberg, J., Eichholz, A. (1989). Amniocentesis: Ambivalence and foreknowledge. Offerman-Zuckerberg, J., Eichholz, A. (1988). Psychohistory reflections of changing body images for women. Eichholz, A. (2018). A Tale of Two Grandfathers: Using the Full Potential of DNA. Minnesota Genealogical Society. Eichholz, A. (2018). Why, Oh Y-DNA Testing in Genealogy. Minnesota Genealogical Society. Eichholz, A. (2015). DNA Side of Genealogy. Minnesota History Center. Eichholz, A. (2014). Women in the Family: Genealogical Challenge and Opportunity. Minnesota History Center. Eichholz, A. (2011). Professional Competencies for Today's Continuing Education Leaders: Findings from the 2010 Management and Leadership Survey. UPCEA. Peinovich, P., Brigham, D., Eichholz, A. (2007). Institutional strategies for promoting positive social change. University Continuing Education Association.